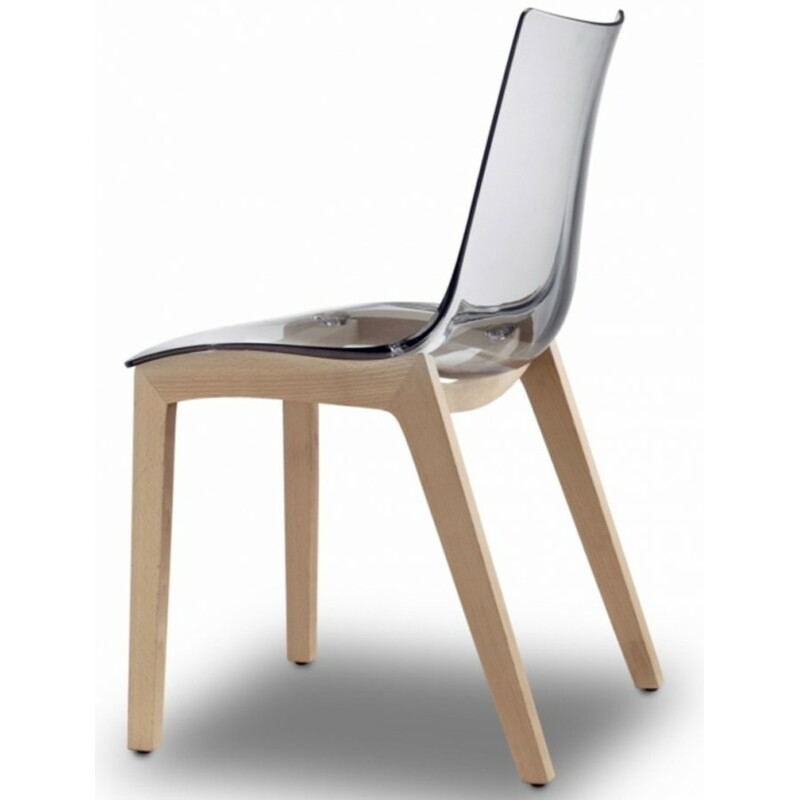 Wooden chair frame with polycarbonate shell for internal use, recyclable. Shockproof polycarbonate body. 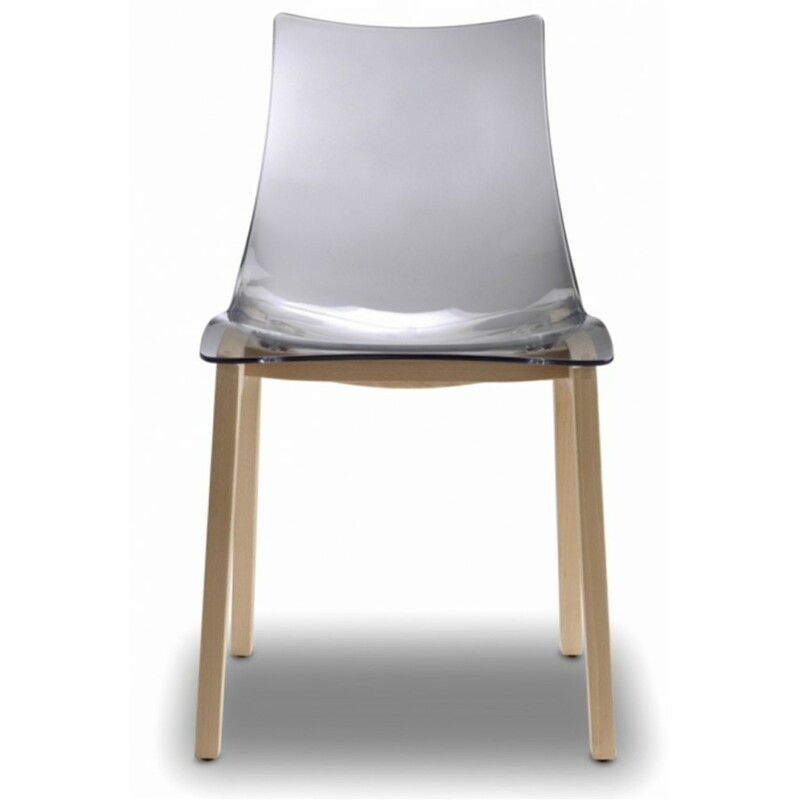 Available in transparent and smokey grey with natural beech wood frame. Perfect both for home and contract. For indoor use.